The Q Dental Mt Gravatt team are here to give you the support you need to reach your oral health goals. We seek to put you at ease from the moment you arrive, keeping your dental care convenient and efficient for you. 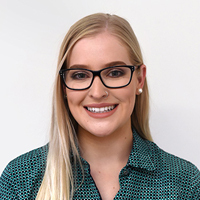 As a dental assistant and front office manager at Q Dental Mt Gravatt, Natalie loves building relationships with our patients. She likes having them come back time and time again and finds it gratifying when they refer friends and family. Natalie finds it enjoyable to work in our positive environment where everyone works well as a team. 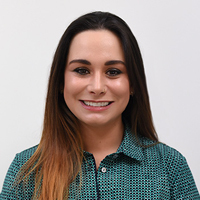 “Although the environment is calm, there is rarely a dull moment with so many different aspects of the job.” When she’s not at the practice, Natalie enjoys going to the beach, boating, reading, boxing and fitness. Before starting at our practice, she previously worked as a florist and spent hours on end toiling in her garden. Natalie also loves music, and particularly enjoys seeing a band or spending the day at a music festival. More than anything, however, she likes spending time with her family and close friends. 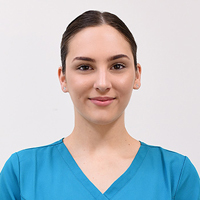 With a passion for health and the dental industry, Talia has joined Q Dental Mt Gravatt team while she studies to become a Registered Nurse. She enjoys being able to spend time with patients each day and help them achieve their goals in oral health. Outside of the practice, Talia enjoys spending time with her miniature dachshund Wesley. Get to know more about Talia when you book an appointment at our practice. 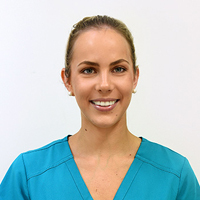 As a dental assistant at Q Dental Mt Gravatt, Dani finds her job rewarding and fulfilling. “I enjoy working alongside professionals learning new things often. I find my job satisfying as there’s joy in caring for patients and helping them smile again.” She obtained a Diploma of Event Management from Southbank TAFE in 2013. Outside the practice, Dani enjoys spending time with her family, friends and partner. If she’s not at work, you can usually find her at the beach with her partner and dogs, visiting her friends’ horses and exploring new places. 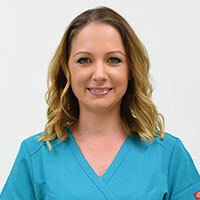 Jalee has always had a passion for oral health, which made joining the Q Dental Mt Gravatt team as both our Front Office Coordinator and Dental Assistant the perfect position for her. At the practice, she enjoys teaching patients about the importance of taking care of their gums and teeth while letting them know they’re in amazing hands. Outside of the practice, she enjoys painting, reading and playing video games. She also has a love of animals and visiting the beach. Her partner in crime is a Kelpie named Milo! Tracey works at Q Dental Mt Gravatt as a dental assistant. She was drawn to dentistry due to a love of meeting new people and helping them to obtain great oral health. Her first priority is always ensuring her patients are comfortable and relaxed. Tracey also gets immense satisfaction from improving patients knowledge of dental health and loves to teach people about their teeth. When Tracey is away from the practice enjoys spending time with her family. Tracey also loves to read, go to the beach and explore the world traveling whenever she can get the chance. Contact us today to get started on improving your oral health! Saturday appointments are available.